The Library of Virginia has joined forces with Dominion Energy to form a new dynamic program. Dominion Energy’s Strong Men & Women: Excellence in Leadership series and the Library of Virginia’s African American Trailblazers in Virginia History are now one program — Strong Men & Women in Virginia History. This new program, which will operate in Virginia only, was inaugurated in January when eight honorees were announced for 2013. People of African descent have been a part of Virginia's-and America's-story since European colonization of the continent began. Yet the contributions of African Americans have often been ignored, obscured, or under appreciated by those who recorded history. 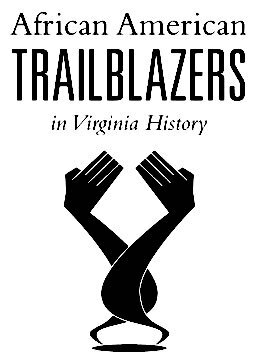 In observance of African American History Month, the Library of Virginia is pleased to honor eight distinguished Virginians as African American Trailblazers for their contributions to the state and nation. The men and women featured as Trailblazers offer powerful examples of individuals who refused to be defined by their circumstances. Their biographies are a testament to the determination and perseverance displayed by extraordinary people during challenging times. Through education and advocacy, these individuals demonstrate how African Americans have actively campaigned for better lives for themselves and their people. It is these many contributions that the African American Trailblazers program seeks to share.